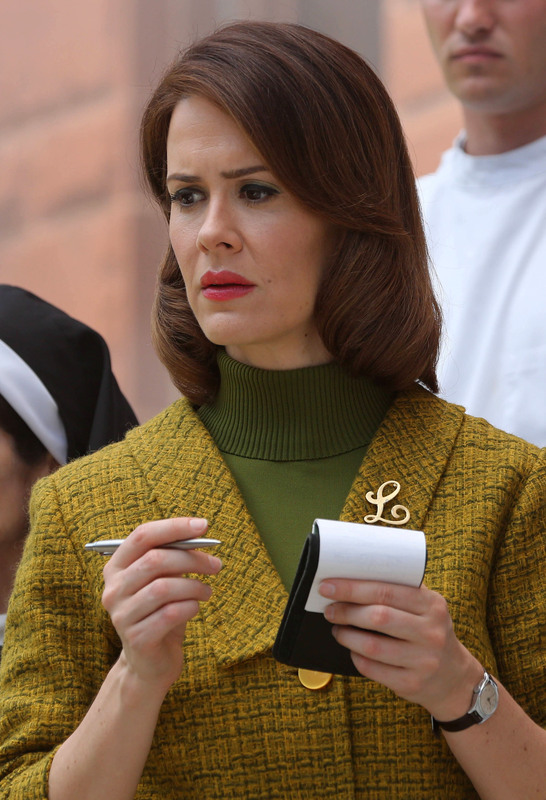 LANA Winters. Lana Banana. We welcome her character as a feisty journalist, a reporter willing to do anything to get her story. And, like she says herself in AHS: Asylum, she didn’t realise quite how much she was willing to do for that story. Or lose, in fact. 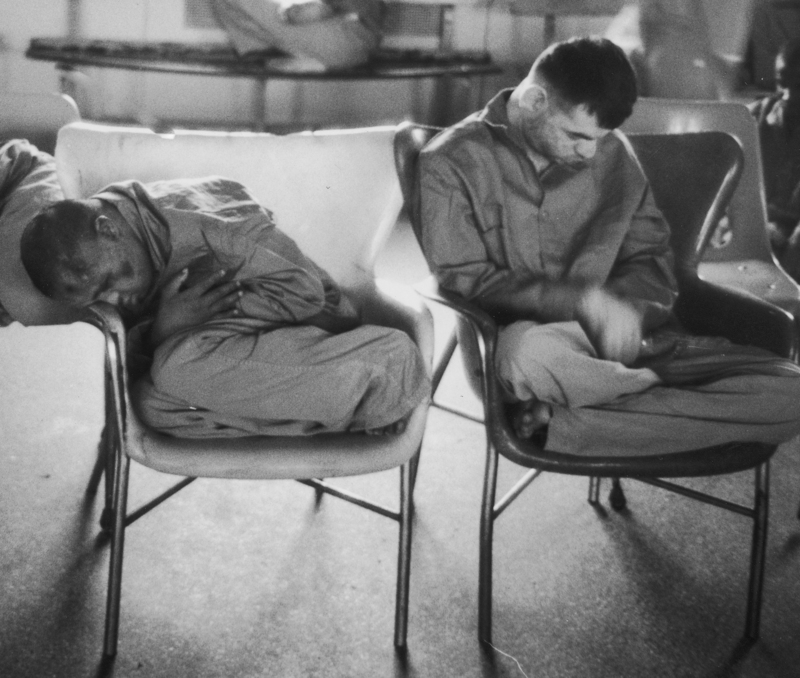 WARNING: A few photographs on this post that you may find distressing from 1960s mental institutions. Ryan Murphy, one of the show’s producers, said in an interview that AHS: Asylum (and especially the finale) is a loose homage to Geraldo Rivera, a reporter in the early 1970s, who conducted a series of investigations onto Willowbrook State School. The state-supported institution on Staten Island, New York City opened in 1947, was a place where children with ‘intellectual disabilities’ were placed. Interviews of family members whose children stayed at the ‘school’ reveal that at the time, institutionalisation was encouraged, and when people could not cope with disabled children, it seemed the best option. Designed for 4000 capacity, by 1965 the walls contained more than 6000 children, suffering from a variety of illnesses, and not just ‘intellectual’ disabilities. It seemed to be a catch-all net for children who were abnormal, an eyesore on the family portrait; retarded kids. Geraldo, much like Lana Winters, was appalled by the condition of Willowbrook, and commissioned a series of investigative reports which uncovered the abhorrent conditions these children were being forced to endure. This story made Rivera’s career. It was not simply the unsanitary conditions though, it was the physical, psychological, emotional and sexual abuse. It was the starvation and lack of wellbeing measures. Ex-patients can recall the experiments of hepatitis which children were exposed to. Perhaps the most striking form of abuse is this: Some of the residents were deliberately exposed to hepatitis. Experts estimate that close to 100 percent of residents would have tested positive for the disease. Some contracted hepatitis through unsanitary drinking water, others were injected directly. Still others, DeBello says, were fed hepatitis-contaminated faeces. I think that’s enough… You can clearly see that children and young adults were living in deplorable conditions, what the Senator Robert Kennedy labelled a ‘snake pit’. Interestingly enough, and whether this was just a very coincidental line, Kit Walker refers to Briarcliffe as the very same- a snake pit- in the penultimate episode of AHS: Asylum. So, as you can see, it is not only the conditions of Briarcliffe can be likened to those of Willowbrook State School in the series, but the investigative role and character of Lana which can loosely be compared to Geraldo Rivera. Rivera, Geraldo (1972). Willowbrook. New York: Vintage Books. ISBN 0-394-71844-5.